The Ramco Cements Limited contributed Rs. 2 crores to Chief Minister’s Distress Relief Fund. Our Chairman & Managing Director, Shri.P.R.Venketrama Raja handing over the cheque to Shri Pinarayi Vijayan, Honourable Chief Minister of Kerala. Also seen are Shri.E.Chandrasekaran, Minister for Revenue and Housing & Shri.V.S.Sunil Kumar, Minister for Agriculture and Shri.A.V.Dharmakrishnan, Chief Executive Officer, Shri.Balaji K Moorthy, Executive President – Marketing and Shri.K.S.Venkatraman, DGM – Marketing of our Company. 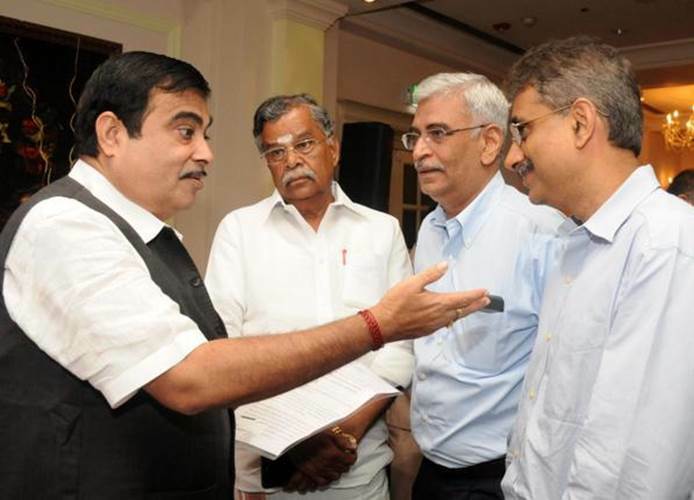 The Union Minister for Road Transport, Highways and Shipping, Nitin Gadkari said the department needs more cooperation from the state governments for development at the Breakfast with Business Line held at Crowne Plaza, Chennai on May 13 2016. Nitin Gadkari with L. Ganesan, Senior BJP leader; AV Dharmakrishnan, CEO, Ramco Cements; and P.R.Venketrama Raja, Vice Chairman and MD, Ramco Group. All the top rung executives of entire Ramco Group participated in “Ramco Leadership Workshop” held in April 2013 at Chennai and the Workshop was facilitated by Dr. Boris Groysberg, Professor of Business Administration, Harvard Business School. Chairman, Shri.P.R.Ramasubrahmaneya Rajha presenting a cheque for Rs.1 crore to the Honourable Chief Minister of Tamil Nadu, Ms.J.Jayalalithaa, towards Chief Minister’s Public Relief Fund for the purpose of relief measures in areas affected by Thane Cyclone. 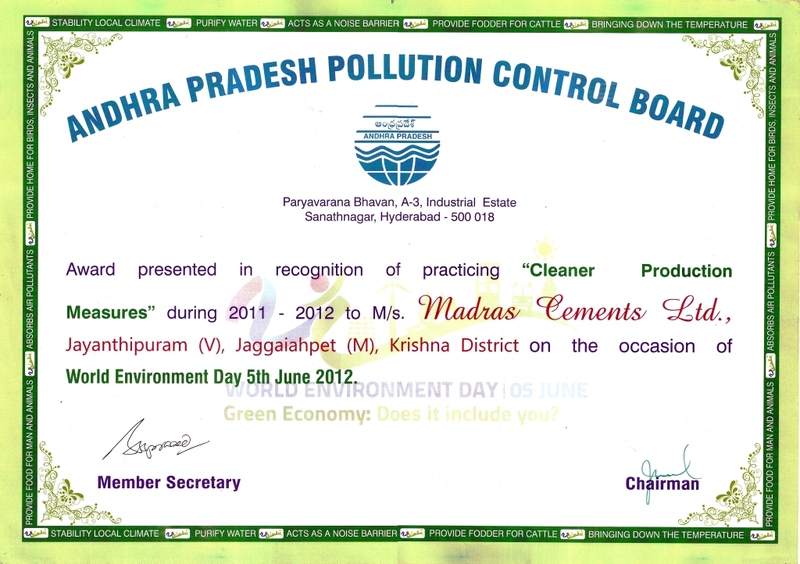 Andhra Pradesh Pollution Control Board and Environment & Forest Dept, Government of AP, presented the Award to The Ramco Cements Limited (Formerly Madras Cements Ltd), Jayanthipuram Unit in recognition of practicing Cleaner Production Measures, on the eve of World Environment Day celebrated at Hyderabad on 05-06-12.The Award was received by Mr.P.B Gopala Krishna,President MFG-Jayanthipuram. 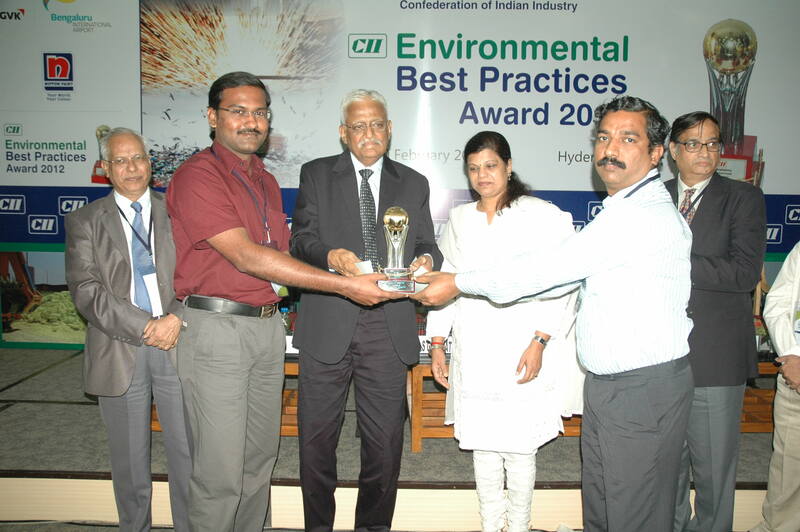 Alathiyur Unit bagged the CII Environmental Best Practices Award 2012. 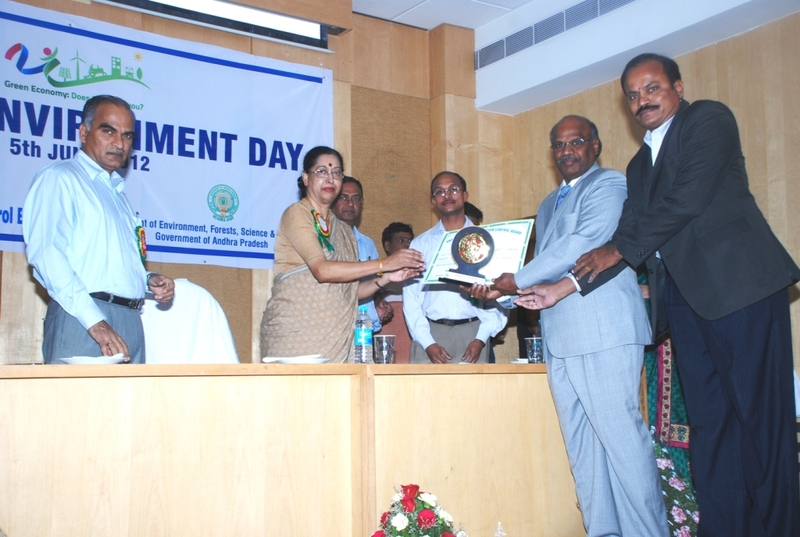 The Award being presented by Mr.L.S.Ganapati, Chairman, CII Environmental Best Practices Award Committee, 2012.